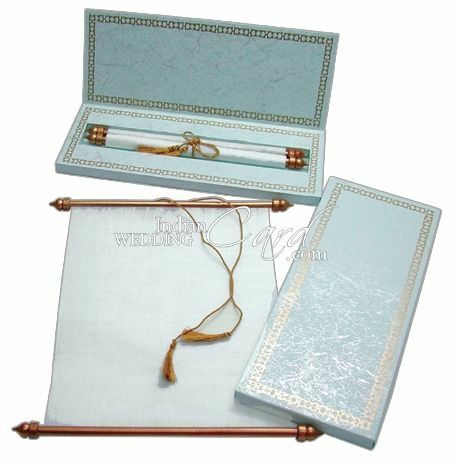 S336, Blue Color, Scroll Invitations, Jewish Invitations. 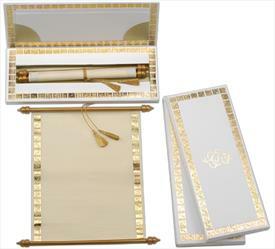 This scroll box has border design in gold all around on its cover and mailing box. 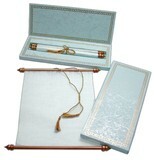 The scroll is tied with golden tassel and has golden bars between which the scroll is sandwiched and is placed inside the container. 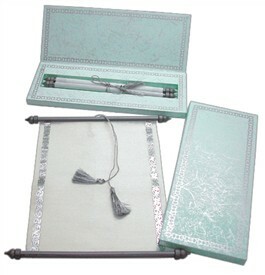 Light Blue paper with printed pearl design all over for box and mailing box envelope. 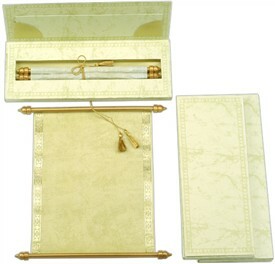 Scroll in translucent wooly paper.